Central’s campus hosts many educational events for a variety of young audiences in addition to its regular curriculum. Here’s a roundup of some of the most popular offerings. Hundreds of Iowa’s most gifted and engaged high school and middle school students find their way to Central’s campus each year. Here they participate in learning experiences that sharpen their athletic and musical performance, further develop their interests in sustainability and business and engage with academic subjects such as history and math. While they’re here, they also get acquainted with the college campus, have a chance to meet and be mentored by Central faculty and students, and get a tantalizing glimpse of what Central has to offer. s. Some become some of the college’s top students and most successful alumni. Kathleen Connelly ’18, for example, got to know Central as a participant in Business Horizons, an Iowa Association of Business and Industry Foundation program, while she was in high school. She loved what she saw of the college, applied, was admitted and enrolled. Now she’s parlayed her business management degree from Central into a job as a marketing specialist at Mercer, a global personnel consulting firm with offices in Des Moines, Iowa. If you’re looking for a great way to introduce your middle- or high school-aged children, grandchildren, or other talented young students to the promise of college and the special place that is Central, don’t overlook these opportunities. For more information on upcoming camps, conference and clinics, please visit central.edu/camps. 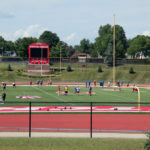 Athletics camps led by Central’s coaching staff focus on skills and fundamentals in sports, including baseball, boys basketball, girls basketball, cheerleading, dance, football, girls golf, boys soccer, girls soccer, softball, tennis, track and field, volleyball and wrestling. 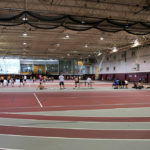 For more information on athletics camp dates, contact and registration information, visit athletics.central.edu/camps. A Central College Honor Band composed of approximately 85 of the most advanced student musicians from high schools across the region spend a day in woodwind, brass and percussion ensemble rehearsals. That’s followed by an evening concert performed by each ensemble, the entire Honor Band and the Central College Symphonic Wind Ensemble. This year’s festival is led by Senior Lecturer of Music Stan Dahl. Similar in format to the Honor Band Festival, Singfest is an opportunity for selected students to participate in an extraordinary choral honor choir experience. The evening concert includes Central choirs, the Singfest choir and concludes with a combined selection. 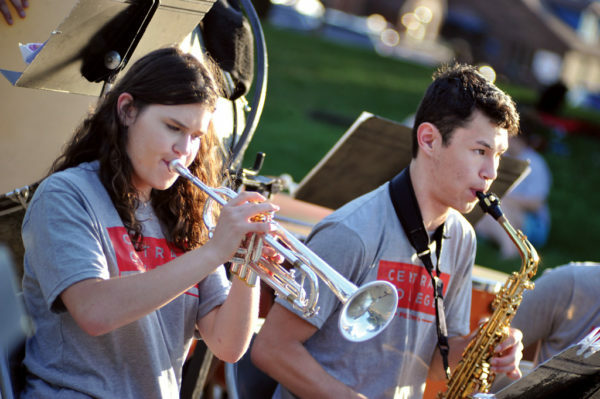 This year’s festival is led by Assistant Professor of Music Education Sarah Van Waardhuizen. Sponsored by the Iowa Chapter of the Percussive Arts Society, this two-day festival is for percussionists at the middle school, high school and college and university level. It includes master classes and guest artists from around the country in drum set, mallets, world percussion, steel drum and marching. Concerts featuring all performers take place both days. The event is led by Senior Lecturer of Music Stan Dahl. Attendees perform in ensembles and develop individual skills and techniques through master classes and lessons. to explore, rehearse and perform on Caribbean steel drums. No prior experience necessary! Students also receive hands-on training in music notation and sequencing programs of Finale and Garage Band. The camp culminates with campers performing an evening ensemble concert in Historic Downtown Pella for “Thursdays in Pella.” The camp is directed by Associate Professor of Music Cynthia Krenzel. High School Percussion Camp at Central College. Percussionists explore, perform and develop skills and techniques on mallet percussion (marimba, xylophone, vibes), concert percussion (snare drum, cymbals, tambourine, timpani, etc. ), world hand drums (congas, djembes) and Caribbean steel drums. They receive hands-on training in music notation and sequencing programs Finale and Garage Band and experience a variety of percussion-related activities each evening. The camp culminates with campers performing an evening ensemble concert in Historic Downtown Pella for “Thursdays in Pella.” The camp, is directed by Senior Lecturer of Music Stan Dahl. This two-day camp offers advanced high school vocal musicians sectionals and large group preparation for Iowa All-State music, private and group vocal technique instruction with guest clinicians, ear training and basic musicianship classes with professionals, opportunities for solo singing, a night on Central’s campus with evening activities and an evening concert. The camp is led by M. Joan Kuyper Farver Endowed Chair in Music, Professor of Music and Director of Choral Activities Mark Babcock ’91 and is open to both commuter and residential campers, below. 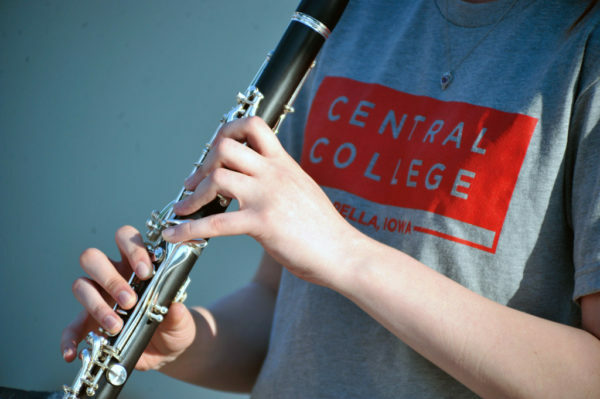 For more information on music camps and festivals contact 641-628-5236 or abeld@central.edu. The four-day camp offers students currently in grades 8 – 10 the chance to develop math, stats and data skills through sports-related contexts. Campers will engage in experimental data collection (free-throw shooting), problem-solving (when a football coach should go for two?) and working on open-ended projects (such as creating a predictive model for March Madness). The camp runs from 9 a.m. to 3 p.m. each day and cost is $180. Transportation is available from Des Moines. 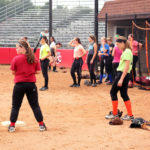 The camp is coordinated by Professor of Mathematics and Assistant Women’s Soccer Coach Russ Goodman and Greg Kapusinski ’07, a math teacher and assistant girls track and field coach at Southeast Polk High School. This day-long conference promotes faculty, graduate and undergraduate research in sports analytics. It includes guest speakers, poster presentations and networking opportunities for professionals, faculty and students of all levels and is coordinated by Professor of Mathematics and Assistant Women’s Soccer Coach Russ Goodman. For more information: Twitter, Facebook, central.edu/msam, or email MWSportsAnalytics@central.edu. 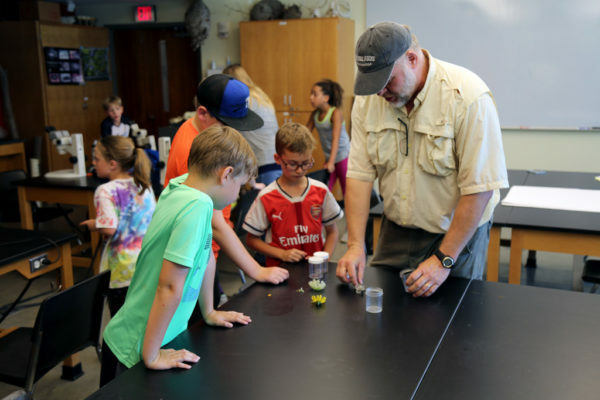 These week-long day camps for 8-12-year-olds each explore elements of sustainability using the resources of Central’s faculty, students and facilities. Camps run from 9 a.m. – 3 p.m., with transportation available from the Des Moines area. Registrants for all three camps get a discount. These camps are coordinated by Director of Sustainability Education Brian Campbell. This camp explores Iowa’s rare and endangered species and the wild places around us. Campers venture to prairies and forests, wade in streams and marshes and spend an optional evening trying to catch endangered bats. 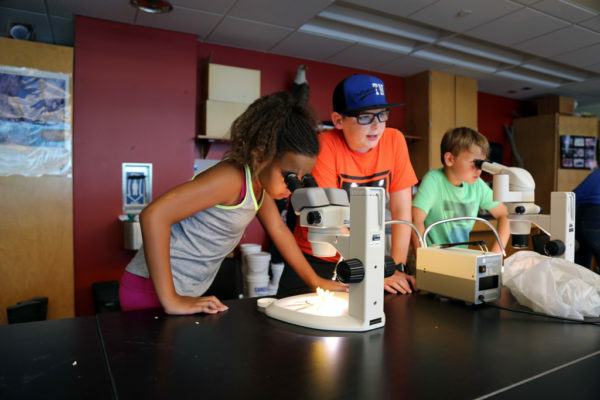 Campers learn about energy conservation and renewable energy through field trips to solar, wind and hydroelectric power facilities, plus make their own small-scale versions of each. Teams will compete to construct their own energy-efficient model homes as well. from Central College Dining Services. The college’s new Garden Cottage dramatically enhances a variety of sustainability courses, camps and events by providing a much more efficient space for harvesting, preparing and eating fresh garden foods, says Director of Sustainability Education Brian Campbell. The house at 1111 Peace St., just a block from the library and adjoining the college garden, began life in 1955 as a 1,200- square-foot ranch. The college bought it in 2011 and rented it to various tenants—many associated with the college. Assistant Professor of Exercise Science Sara Shuger Fox instructing students as part of Fun With Food summer camp. The house recently has been renovated into a teaching space focused on food and sustainability, thanks to donations from Mike ’89 and Amy Dietrich Eilers ’88 and son Joe ’18; Professor of Political Science Jim Zaffiro and Professor Emerita of Chemistry Louise Zaffiro; the Wellmark Foundation; and the Margaret A. Cargill Foundation. The remodeling removed walls to create a large, open kitchen that spans the entire first floor. It also installed new insulation, interior surfaces, lighting, appliances and ADA accessible bathrooms and entry ramp. The work was finished in October. 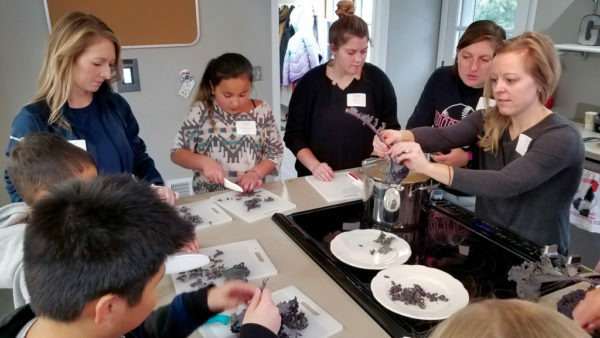 The Garden Cottage already has hosted workshops, classes and education programs in sports nutrition, beer brewing and sustainable food education. Two college courses have been taught there: “Behind Bars: Revealing Chocolate’s Bitter Sweetness,” in which students make their own chocolate while exploring sustainability issues related to the confection and “Food for Thought,” a Liberal Arts and Sciences seminar exploring healthy foods. The cottage is now the location for the Fun With Food summer camp, above, which introduces gardening, cooking and nutrition to 8 – 12-year-olds. It also will help host the Iowa Farm to School Conference in summer 2019 for public school K – 12 cafeteria staff who seek to use fresh produce and seasonal ingredients. Central Iowa Color Guard Camp is Iowa’s longest-running camp of its kind, having specialized in flag, rifle and drum-major instruction for nearly 40 years. Fellowship of Christian Athletes has challenged athletes and coaches to reach their potential through comprehensive athletic, spiritual and leadership training. Business Horizons, July 14 – 18, is a weeklong program in which Iowa high school students work together and alongside Iowa professionals to create a product, develop a business and marketing strategy, film an infomercial and pitch their idea to a panel of investors. 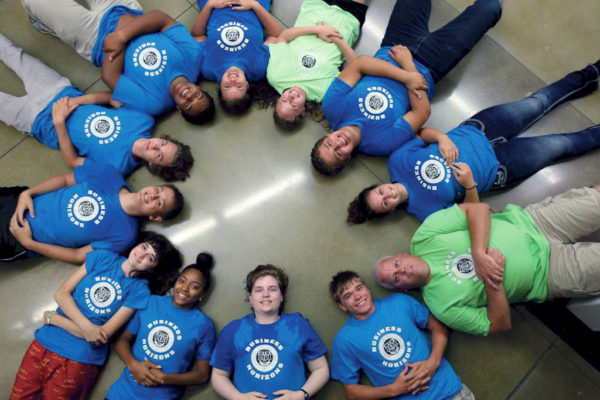 Students visit local businesses and connect with professionals in a variety of industries and can earn college credit and a $1,500 renewable scholarship to Central College. Little Hawkeye Math Conference, April 10, invites students from the Conference to Central for a math-filled morning. Conference schools may send up to 16 students to compete individually, by grade level, and as a school. Students work individually on a challenging exam that spans different mathematical areas. Next, while Central students and professors score the exams and determine awards, schools form two teams of eight students and compete in a math relay. For this event, students pass the solution to a mathematics question to the next student; this solution then becomes part of the next problem to solve. Students are then introduced to a new math puzzle or game which they work on until awards are announced. For more information, contact Professor of Mathematics Wendy Weber, weberw@central.edu. National History Day is a nationwide competition; hundreds of students grades six through 12 visit Central each spring to present their projects in the form of a research paper, documentary, website, performance or an exhibit about a person they believe represents leadership and legacy. Projects address a conference theme which changes each year. Central faculty, staff, students, retirees, alumni and members of the Pella community judge the projects. The top two winners from each category advance to the state competition; the top two from state continue to the national competition.